She grows up with gorillas. 12 years later when they’re reunited? This left me speechless! 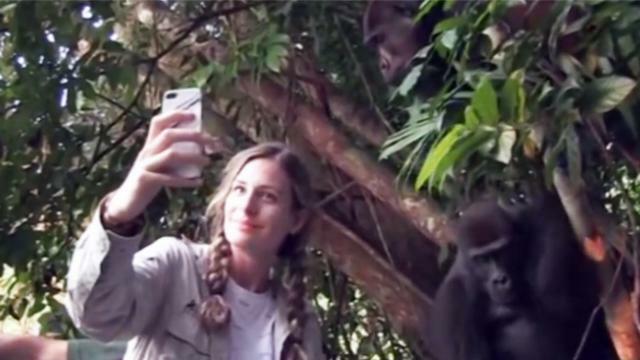 The nonprofit Tansy Aspinall was launched among the gorillas at Howletts Wild Animal Park in Kent, England. One little girl helped with everyday activities in the family’s charity, The Aspinall Foundation, working to rehabilitate gorillas who had been in captivity. The nonprofit organization’s goal is to be able to release the gorillas back into their native habitat in West Africa. 12 years ago, they released two gorillas, Bimms and Djalta, who were born in an Animal Park in Kent, as part of a program to reintroduce gorillas back to their natural environment. In 2014, Tansy and her dad Damian traveled to Gabon where they’d been released, to see if they could find their old friends.